Liz's Paper Loft: Bee-utiful Day ~ Card! Happy Monday my crafty friends! I hope you are having a wonderful long weekend! I sure am! Aww, this is just precious, Liz! Love your little bee! This is so super cute! 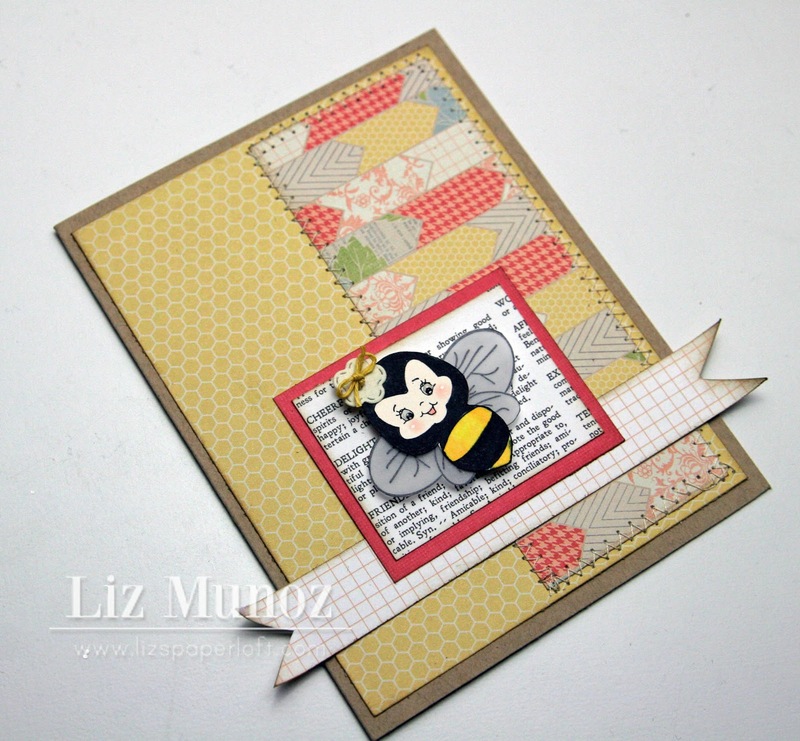 That bee is adorable and I love all the stitching on your card! 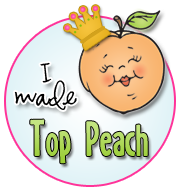 Thanks for playing along at Peachy Keen! That little bee is so incredibly cute!!! :) I love your card (the flower button is perfect, too)! SO AMAZING!!!! 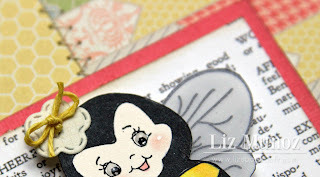 The little bee is so adorable and just love your design! Such a fantastic card! 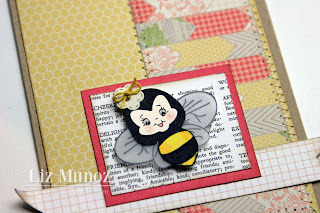 I love that bee and your stitching, papers, and color choices are beautiful! So SUPER DUPER adorable! Love the background paper! Wow, your card is suoer adorable! Oh LIz ~ this is just BEE~utiful! The bee is colored PERFECTLY and the papers are sooo GORGEOUS! !Love the stitching too! Winner in my eyes! My Creative Time 3D Wednesday ~ Let's Play! Scrapping The Little Things ~ Stanford Footbal! My Creative Time's 3-D Wednesday ~ So Lucky! 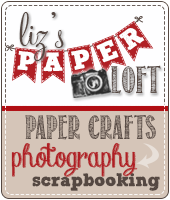 My Creative Time's February Release Blog Hop!!!! 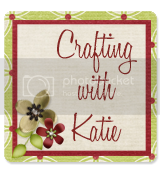 My Creative Time February's Sneak Peek Day 4! 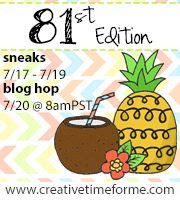 My Creative Time's February Sneak Peek~ Day 1! 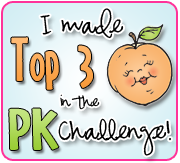 Peachy Keen Challenge 13-5 ~ Keep your chin up! 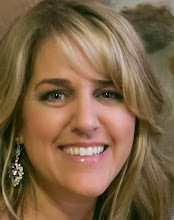 3D Wednesday ~ Recycle ~ Conversation Starters!